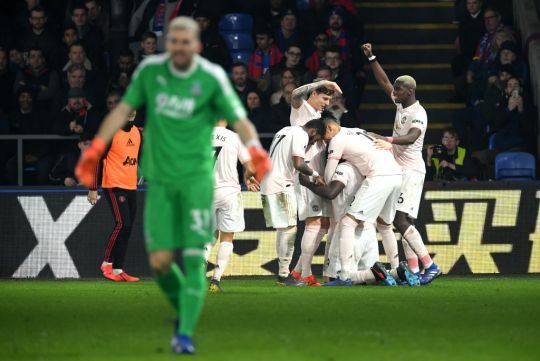 Manchester United claimed their 8th consecutive away win in all competitions, with a comprehensive 3-1 victory over Crystal Palace on Wednesday night. The Red Devils came into the game with an injury-ravaged squad, but dominated at Selhurst Park, with Romelu Lukaku netting a brace. Ashley Young sealed the win late in the match, after Joel Ward had pulled one back for the hosts. The result means United have now won eight straight games on the road since Ole Gunnar Solskjaer took over, a feat not even Sir Alex Ferguson managed. Going into the match, Solskjaer was tied on seven consecutive away wins, a run that started all the way back against Cardiff City on December 22 in the Norwegian’s first game in charge. Since then United have won away at Newcastle, Spurs, Arsenal, Leicester, Fulham, Chelsea and now Crystal Palace. Ferguson had only ever managed to win seven matches in a row, first doing so between April and August across two seasons in 1993. He equalled the record almost a decade later, winning seven in a row between March and April 2002.